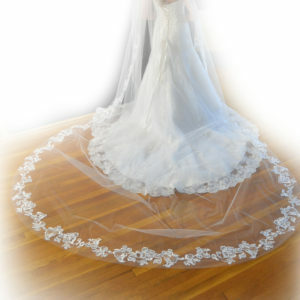 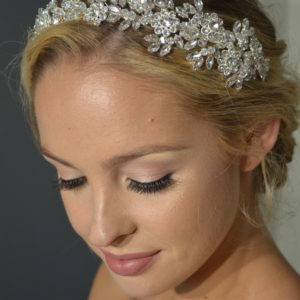 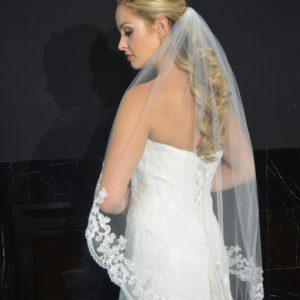 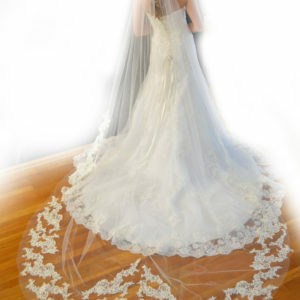 Elena Designs style E1209 One tier veil with scattered motifs along edge, embellished with clear sequin accents. 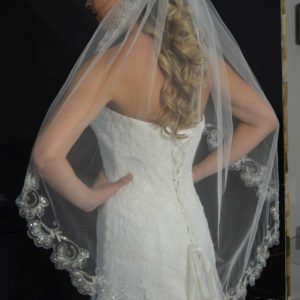 Elena Designs style E1210 One tier veil with embroidered floral vines along the edge embellished with beaded floral accents. 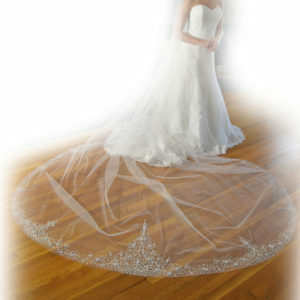 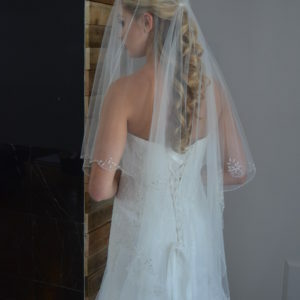 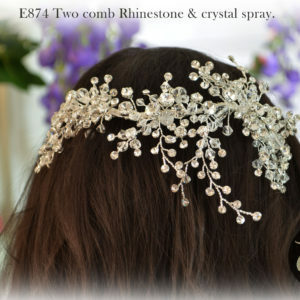 Elena Designs style E1211 Cathedral length veil with heavily embellished edge with silver embroidery, silver beading, & rhinestones.